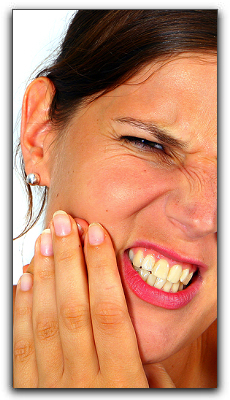 If you are experiencing inflamed gums or an aching tooth, you’re are not alone. About one third of U.S. adults are affected by tooth decay, according to the Centers for Disease Control, and gum disease plagues one in seven people age 35 to 40. Don’t ignore these symptoms, call Koch Park Dental in Florissant for treatment. At Koch Park Dental we take gum disease seriously, because left untreated it can lead to loss of bone and tissue that support the teeth. Gingivitis is a mild form of gum disease. You will know you have it if your gums bleed easily and look red and swollen. If this condition is not reversed it can lead to periodontitis. With this condition your gums become loose and separate from the teeth forming cavities that can become infected. This can spread to the bone supporting the tooth. If this is damaged, the tooth can be lost. At Koch Park Dental we recommend daily brushing and flossing and regular dental cleanings to help combat gingivitis. Our team has been treating gum disease and other dental problems for Missouri patients since 1987. At Koch Park Dental in Florissant we treat gum disease, and provide dental implants. We also treat issues like sleep apnea. Schedule an appointment with us today. FREE Initial Consultation AND $150 OFF Treatment after Initial Exam & X-rays. Contact us today for details! By the way, that new hygienist you hired has an awesome gentle touch with a needle. She was very aware of my discomfort and went above and beyond to make it as easy as possible on me. Thanks! Have to hand it to him... the Doc never hurts me! Big baby when it comes to dentist appts. and needles... yikes! Had to spend some time in the chair this week! But the Doc always makes it as painless as possible. I guess I'll go back! Love that puppy in the office, too! Best staff in the area! WOW...Doc, you guys are awesome! Not only are you the best around...I would trust my teeth to no one else in town....you are thoughtful, too! What more could a patient ask for! Thanks for the work today. Not only were you very accommodating with my schedule, but the entire staff treats me like family. Also, very impressed with the follow-up call this evening. Thanks! Had a good visit yesterday. No pain, pretty white fillings. Nice staff that helped me to relax for 2-1/2 hours, ugh. But I am fine. Love you all. Definitely not afraid to go to the dentist anymore. Dr. B. thanks for checking on me. I was very nervous getting my teeth pulled but the staff made me feel more relaxed. I will recommend Koch park dental to all my friends and family. Highly Satisfied! The office experience was professional and caring. Could not have asked for a better visit or treatment! Thx Gang...you really made my visit a pleasant one! It was nice to finally find out what my status is! All the best and I will definitely refer you to all in need of a good Dentist and nice man! If you want to improve your smile, Chesterfield Smile Design can help with everything from dental implants to Invisalign! Call us now if you are in the area, including Creve Coeur and Manchester MO! Florissant dentist Dr. Martin Buchheit proudly offers restorative and cosmetic dentistry, dental implants, Invisalign clear braces and general dentistry to patients in the St. Louis area including Florissant, Hazelwood, Maryland Heights, St. Charles, St. Peters and Bridgeton, Missouri.